Post Card by Arild Rosenkrantz (9 April 1870 - 28 September 1964) was a Danish nobleman painter, sculptor, stained glass artist and illustrator. 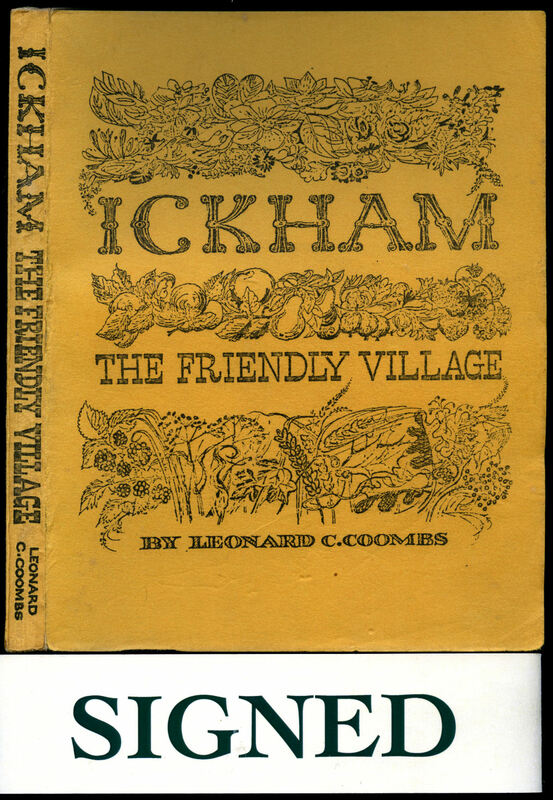 Published by the Ickham, Littlebourne Conservation Society. Publisher's original stapled illustrated card wrap covers. 8vo. 8'' x 5''. 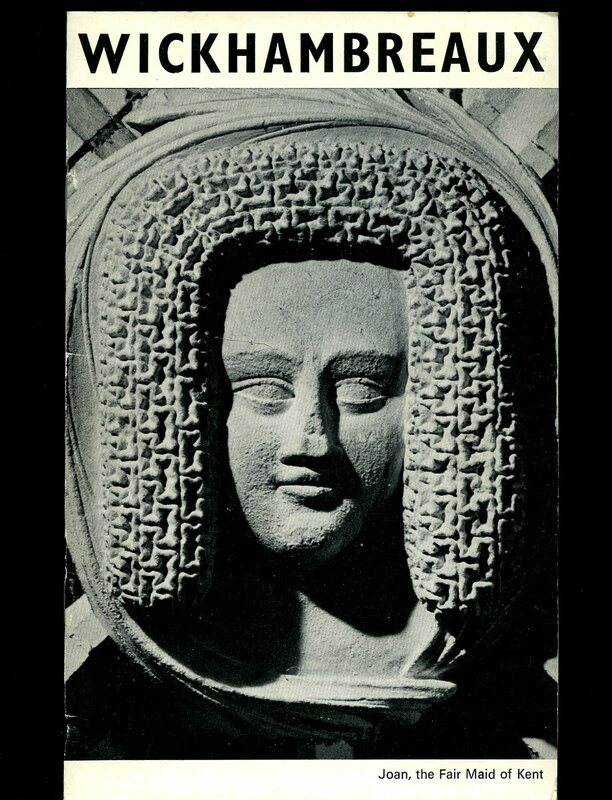 Contains 16 printed pages of text with monochrome photographs. Without any ownership markings and in Very Good condition, no dust wrapper as published. Loosely inserted is a Limited Edition of 1000 colour Post Card showing stained glass window of The Annunciation, St. Andrew's Church, Wickhambreaux. Member of the P.B.F.A. Published by the Ickham, Littlebourne Conservation Society Second Edition 1978. 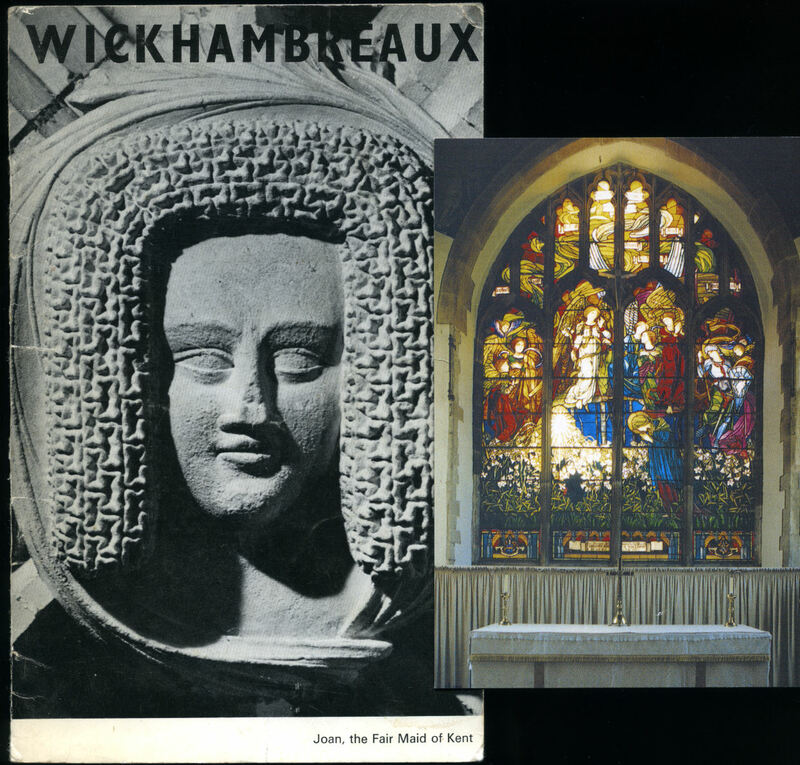 Wickhambreaux 1978. Publisher's original stapled illustrated card wrap covers. 8vo. 8'' x 5''. Contains 16 printed pages of text with monochrome photographs. Without any ownership markings and in near Fine condition, no dust wrapper as published. Member of the P.B.F.A. Published by Leonard C Coombs First Edition 1978. 1978. First edition in publisher's original simply illustrated yellow card wrap covers [soft back]. 8vo. 8½'' x 6''. Contains 220 printed pages of text with monochrome illustrations throughout. Light rubbing to the covers and in Very Good condition, no dust wrapper as issued. SIGNED by the author to the title page 'Leonard C. Coombs' whose family had for over 200 years ran the village shop and Post Office in Ickham, retiring at the age of 70, Leonard decided to put pen to paper, one of the illustrations shows the shop and Post Office with the family sign 'C. A. Coombs & Son, Grocers, The Stores, Ickham' Member of the P.B.F.A.